Are you interesting to visit an ancient place which is surrounded by tombs? If yes, then Tombs of the Kings is the best place to visit. You will be able to enjoy the landscape and the sound of the waves. In the next paragraphs you can find more information about the place and how to book your taxi. Tombs of the Kings is located near the coast of the Tombs of the Kings road which is around 10 minutes from Kato Paphos Archaeological Park. In the ancient years the place has been used to bury the kings of the specific periods. UNESCO World Heritage Site has identified Tombs of the Kings as a place under its protection. The inner side of the tombs is covered by curved stone and in some places you can identify Doric columns which shows the architecture of the period. Many explorers did many explorations to discover the whole story but without any success. Nowadays many tourists are visiting the area to take photos and enjoy the view and the archaeological treasure. The tombs have also been used as houses for the residents during Hellenistic and Roman periods. 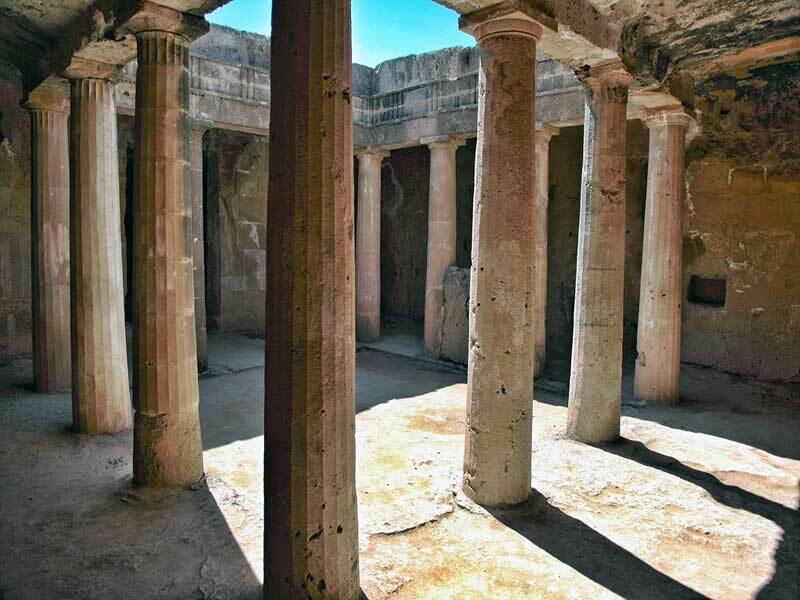 We can provide an exceptional taxi service and we are sure that you will have a great day out enjoying the archaeological treasures of Paphos. Book your taxi to Tombs of the Kings either by phone, email or using our booking form.